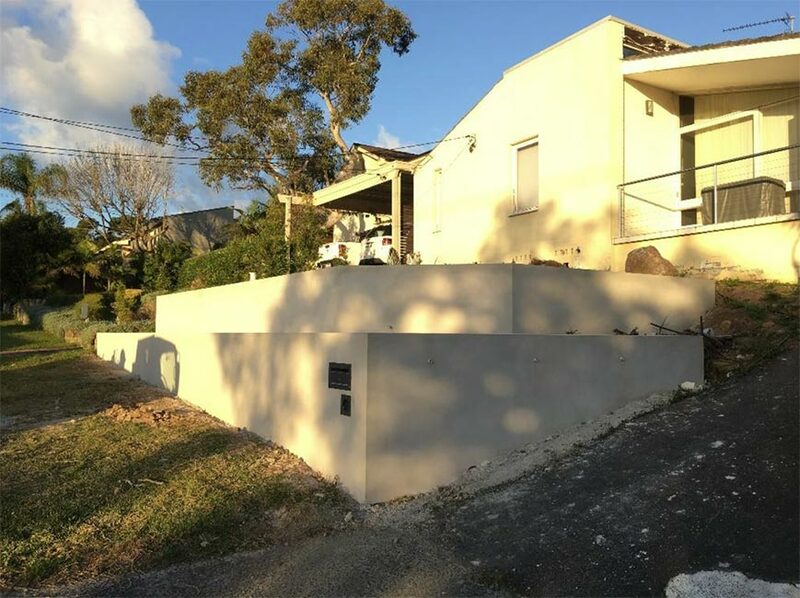 Retaining walls exist in most properties on the Northern Beaches and North Shore due to the sloping lands and rocky geology. 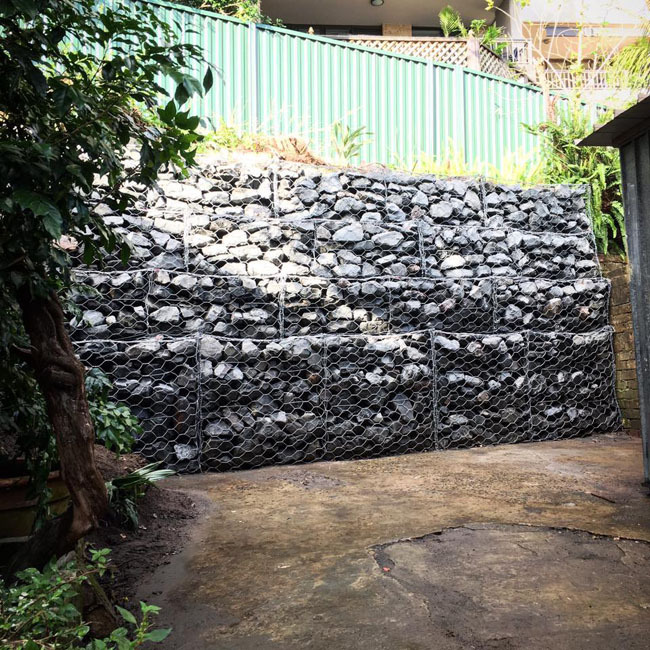 Commonly, the majority of old retaining walls weren’t built with longevity in mind. 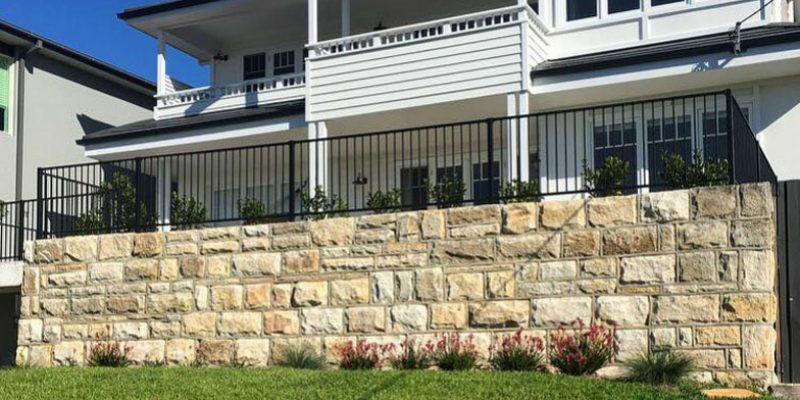 At Retaining Wall Constructions, we build and repair retaining walls based on typical engineering principals, using high quality and durable materials with a long term design life in mind. 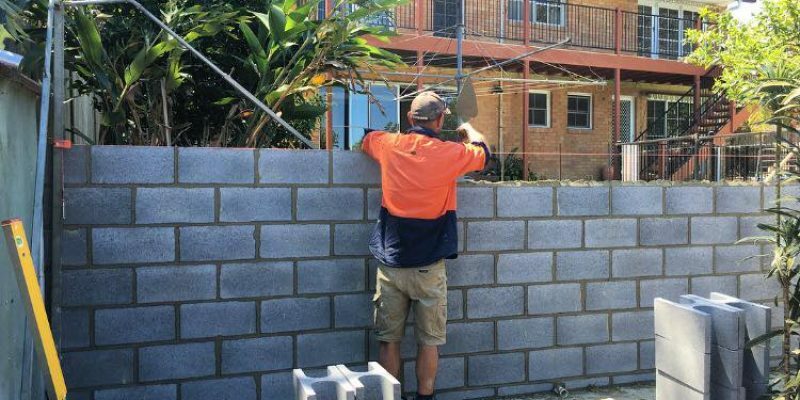 Retaining Walls often protect your #1 asset, your house, so when you contract us to fix, or build your wall, you are ensuring you don’t have to build it again. 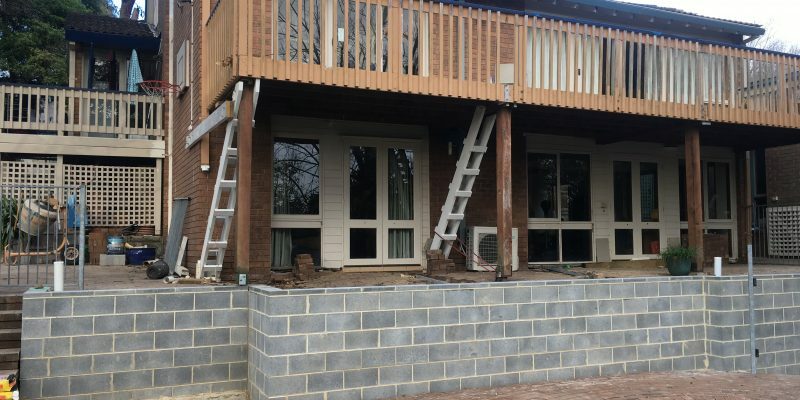 Get in touch with us to organise an inspection with expert advice. 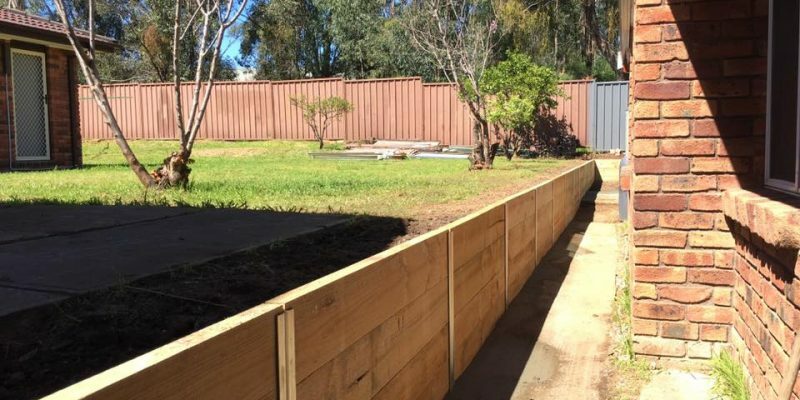 We specialise in all forms of retaining, ranging from basic garden walls to complex, difficult access engineered retaining walls, in which we can design and construct with the option of engineering sign off to meet your requirements. 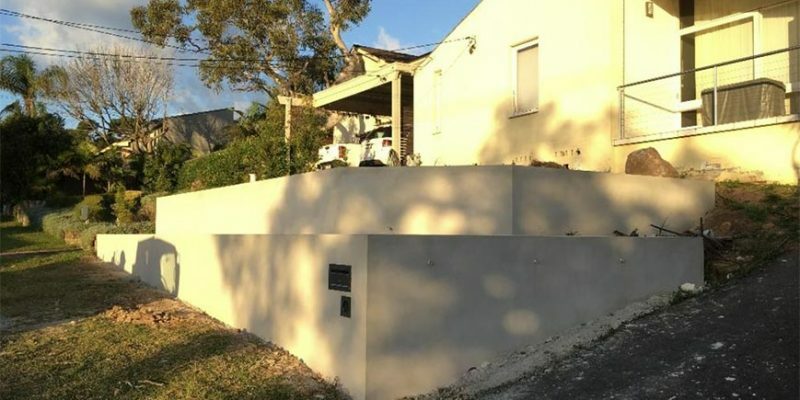 This is a concrete block retaining wall with natural sandstone cladding. 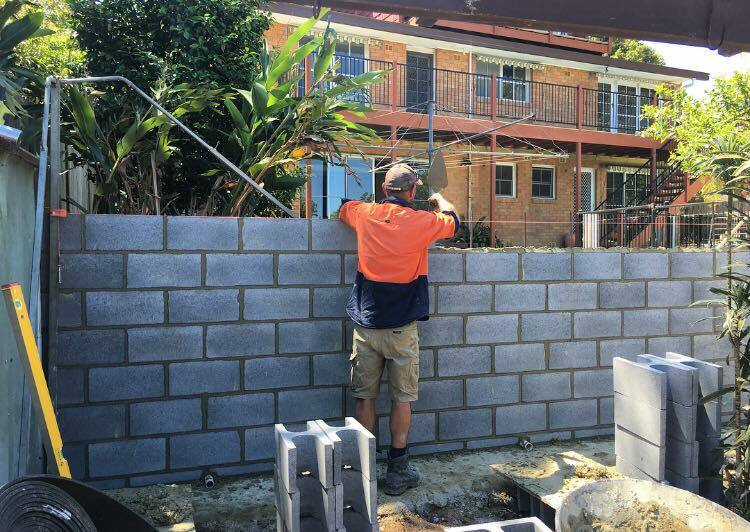 Our most commonly built wall is besser block, due to its high strength and versatility to suit most environments. It can be rendered, stone faced, or painted. Fences can easily be attached on top. 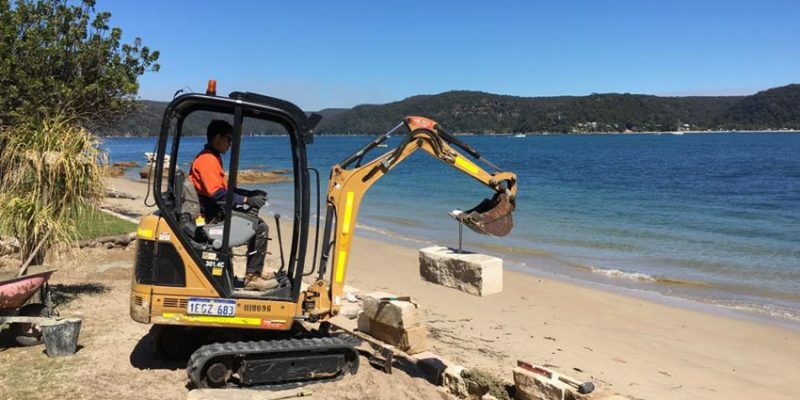 Difficult jobs are our niche. 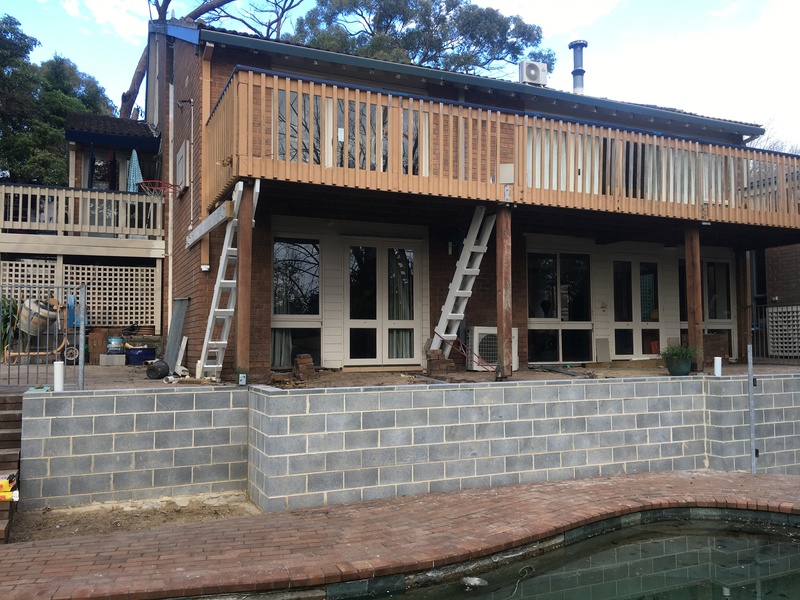 In this case, we propped up the second story balcony to be able to build this engineered retaining wall. 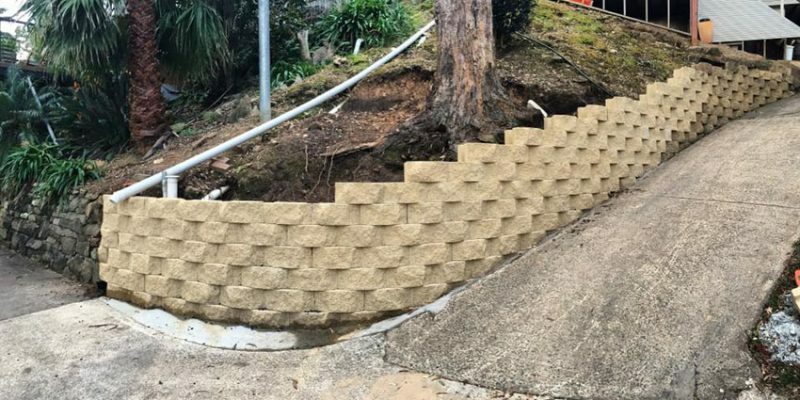 This job had a high risk level, and the client was glad to have used a Retaining wall specialist. 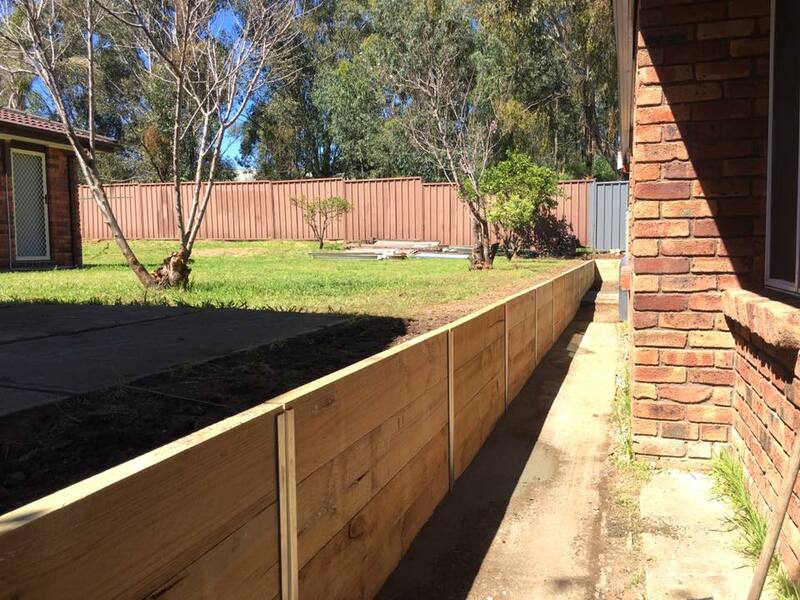 We often choose to use steel posts for structural stability and durability as they don’t rot in ground. Even for simple walls, we are mindful of engineering principals. 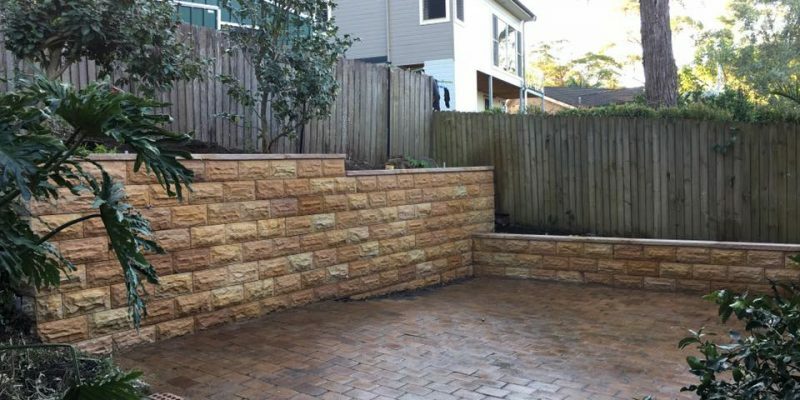 design of a besser block retaining wall, faced with recycled sandstone blocks. 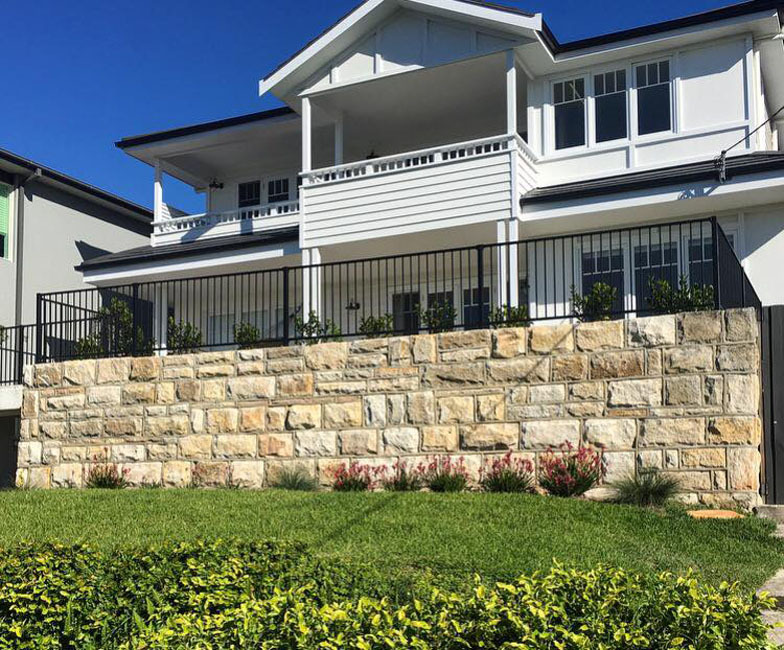 Retaining walls can be a standout feature of your home! RWC are your one stop shop. 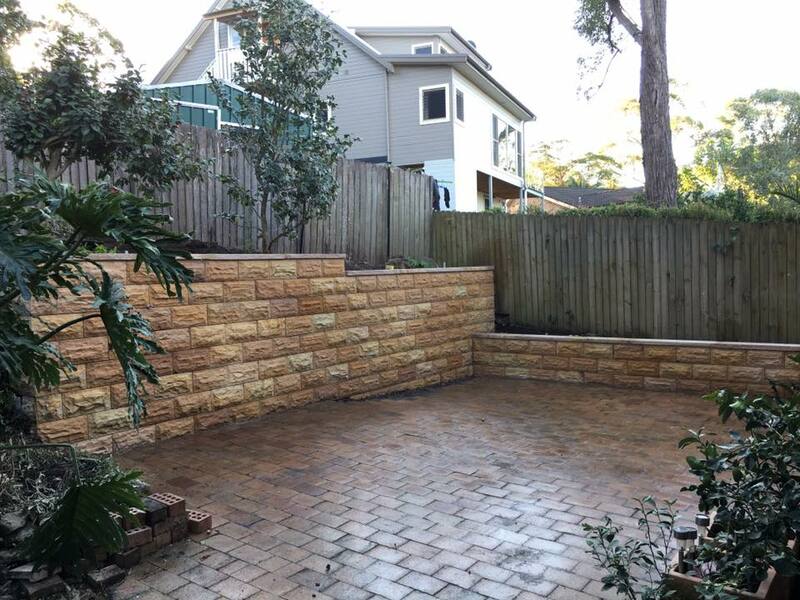 We can render, install letter boxes, and install lights through your new wall! Problem solving is our major strength. 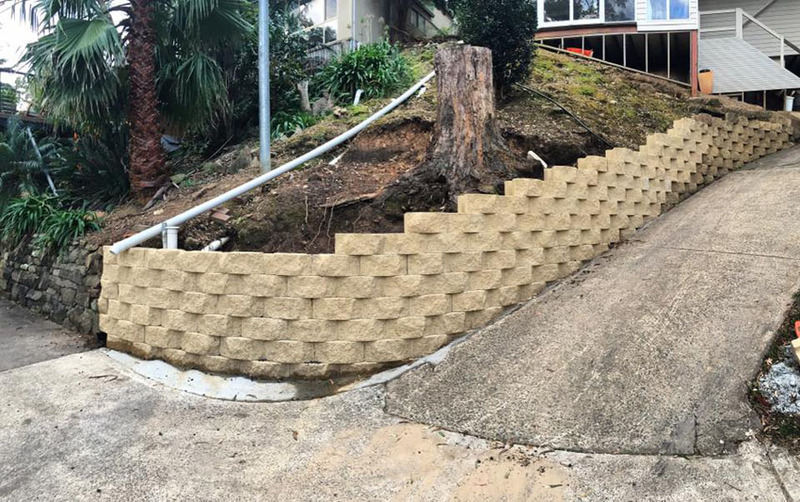 We redesigned and built this big retaining wall in Edgecliff in a location that no one else wanted to go near! Our redesign saved the client 50% of their original budget. 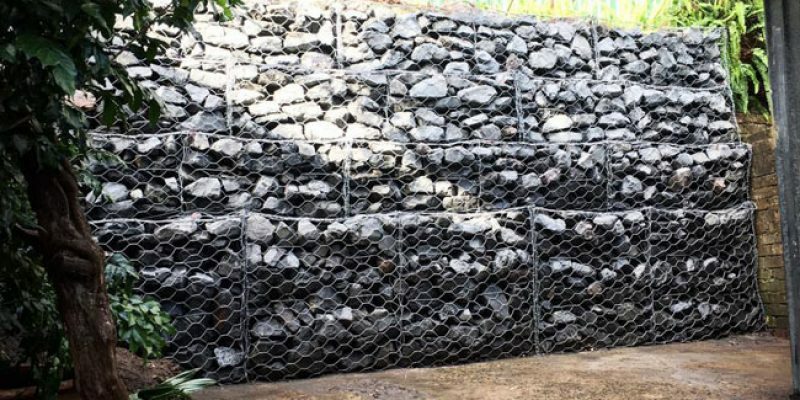 All excavation, and construction work is kept in house. 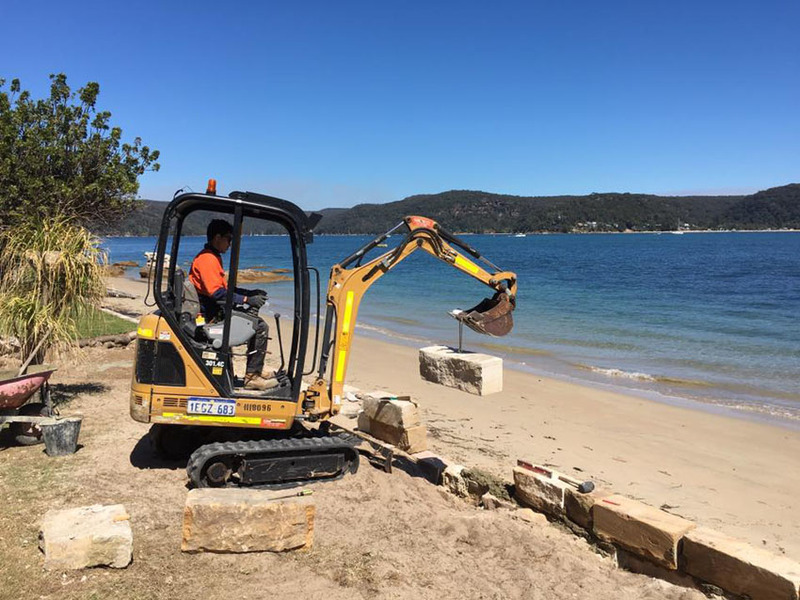 This way, means we can ensure quality work across all of our projects.